Written by a well-known ceramist, this best-selling, comprehensive introduction to ceramics adeptly combines the artist's perspective and spirit of creative inspiration with step-by-step, extensively illustrated instruction in the full range of ceramic procedures—i.e., hand, wheel, and plasterwork techniques. Ideal for self-study, it features exceptionally clear explanations; an abundance of black-and-white and full-color illustrations of process sequences, model examples, and ceramic projects; and a convenient-to-use layout—with one topic per page or per two-page spread. 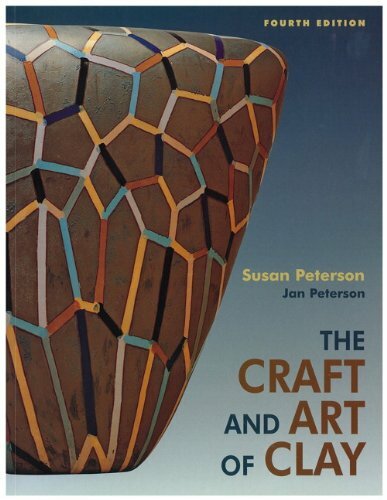 The volume examines the craft and art of clay, fabrication methods, design, decoration, and glazing, clays and glazes, firing the ware, marketing and computers, and ceramic history. For those at any level of expertise in ceramics.